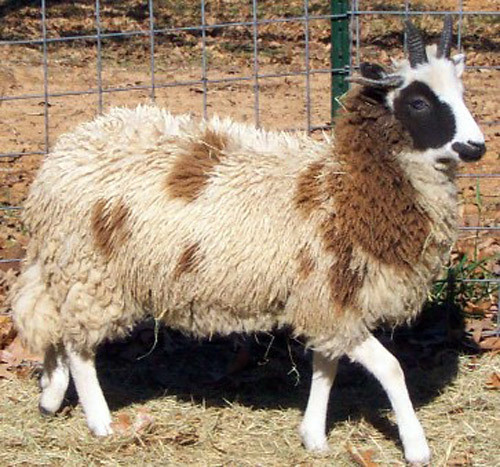 Maybe not such a new sheep, as she’s 7 years old. 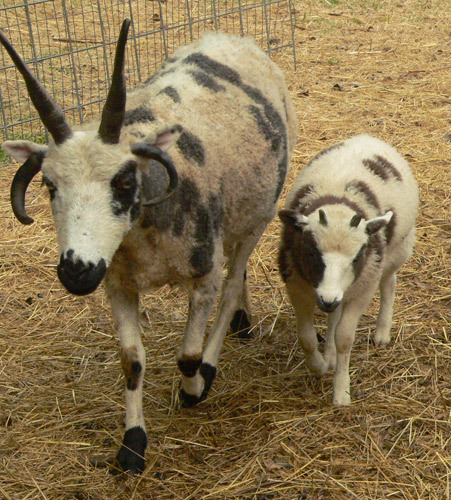 And maybe not a new sheep because she began her life here in 2005. A returning sheep that we are pleased to welcome home. 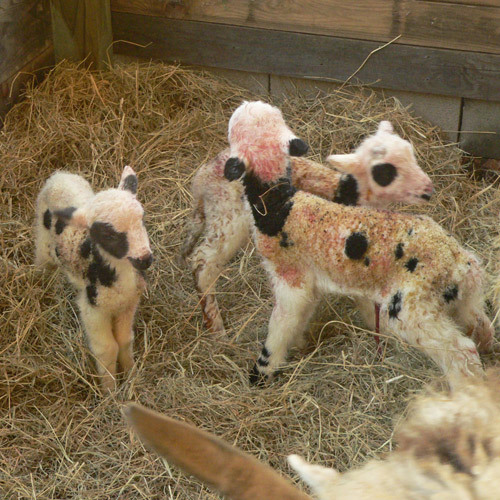 Patchwork Elsa (far left) was born in March of 2005. A lilac triplet daughter of 10 year old Craft’s Ruby’s Belle and sired by Jacquee’s Junco. Her sibling brothers were Leo and Olsen. There is a naming theme there. It’s rather convoluted. Can you see it? I didn’t dock tails that year. I like natural tails, but most buyers prefer them docked. Elsa’s natural tail is just slightly above hock height – just right! Another interesting trait that Elsa exhibits is the primitive trait of shedding her belly wool. A big thank you to Showphar for allowing us to bring Baby Elsa back to Patchwork! 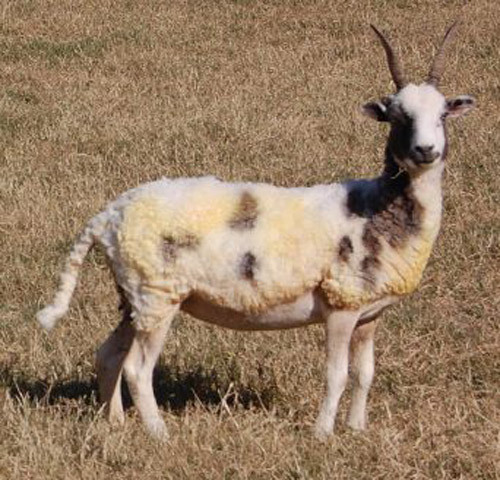 She is bred to another new addition, Moose Mtn Hawk for late March/early April lambs.